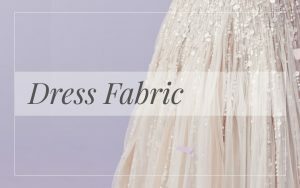 Finding the right wedding dress means finding the one that fits your style and body type. 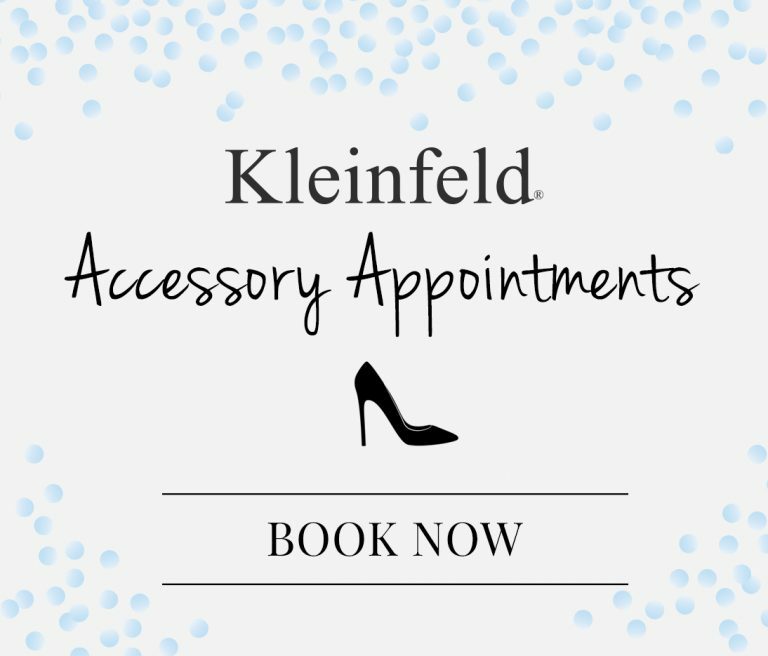 Lucky for you, Kleinfeld has some of the most experienced bridal consultants and designers in the world to help. 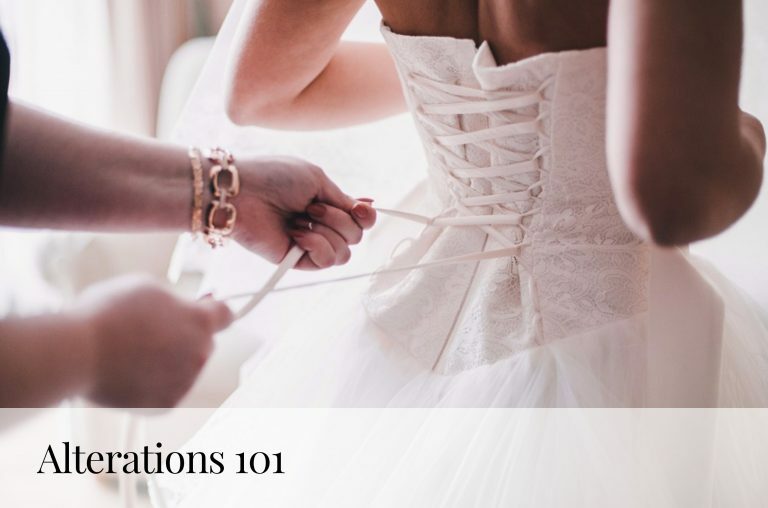 Get started by learning the variations of necklines and how to best wear them. Like the name, this neckline sits just below the shoulders to showcase the décolletage. 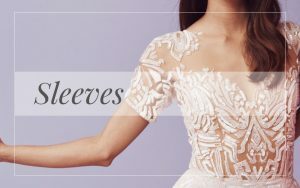 Sleeves typically drape over the upper arm. Off-the-shoulder necklines make for stunning bridal portraits and is flattering on nearly all body types. 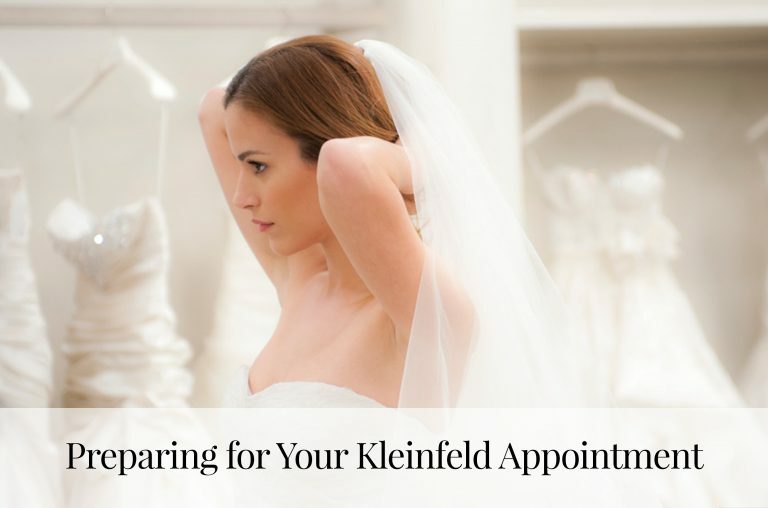 A strapless neckline is one of the most popular styles, especially for brides with a larger bust. It pairs perfectly with a sweetheart or straight-across square bodice. The sweetheart—which is actually shaped like the top half of a heart—is a great option for brides with a fuller bust because it accentuates the décolletage (like an off-the-shoulder neckline). 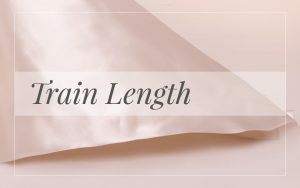 The sweetheart is often designed with an overlay of sheer material that rises higher than the heart shape, making the neck and torso look longer. Characterized by a wide, soft scoop from the tip of one shoulder to the tip of the other and similar to an off-the-shoulder style neckline, the portrait neckline is an elegant way to frame the face. This shape gently follows the curve of the collarbone, almost to the tip of the shoulders—it’s cut straight across so less of the décolletage shows. It can be paired with sleeves or a sleeveless style. You guessed it—this neckline dips down in the front into the shape of a “V.” It draws the eye downward creating the illusion length and is very flattering on petite and narrow frames, but also on a larger bust when fitted properly. A halter or high neckline style wraps around the neck or narrows at the neck leaving the shoulder bare. This stylelooks great on tall body types. Also known as the T-shirt neckline, due to it’s similarity to an actual T-shirt, the jewel neckline is round and sits at the base of the throat.